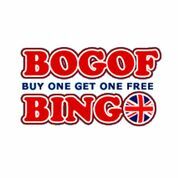 BOGOF Bingo have two £100 Tesco shopping vouchers up for grabs, 2 luxury hampers and £30 cash bonuses. To be in with a chance of winning one of the fabulous prizes all you have to do is make a deposit of £10 or more during August. BOGOF Bingo gives new players a 100% cash match bonus of up to £250.